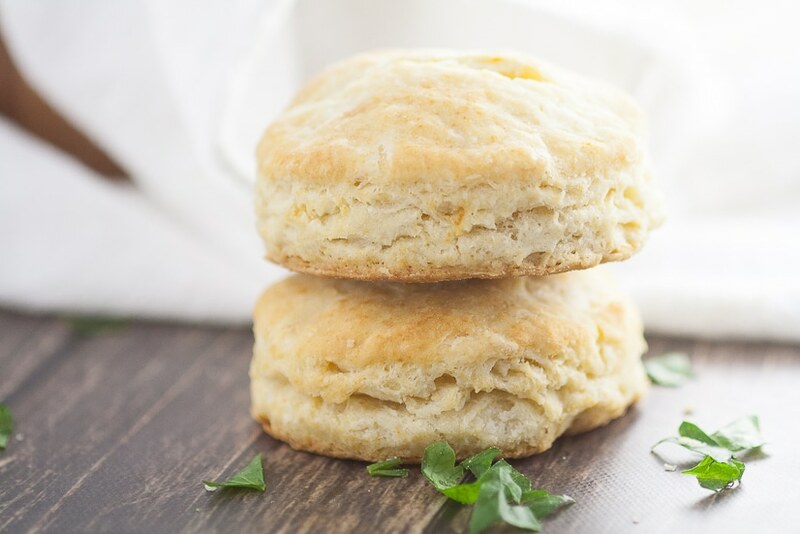 Fluffy, flaky Old Fashioned Buttermilk Biscuits recipe is easy to make and is a golden, delicious crowd pleaser! They’re so simple and will never disappoint! 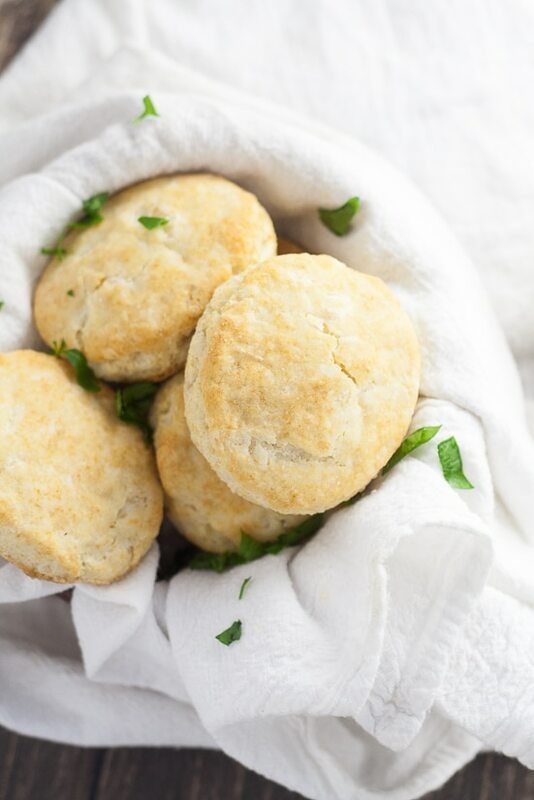 If you’ve been only eating those biscuits out of a can because you’re too scared to try to make your own fluffy biscuits from scratch recipe, let me tell you, you’re missing out! Making biscuits from scratch is actually pretty simple and making them from scratch makes a world of difference. My 2-year-old daughter and I whipped up a double batch of them a little bit ago for her daddy’s birthday dinner of choice, biscuits and gravy. They were flaky and fluffy and delicious. 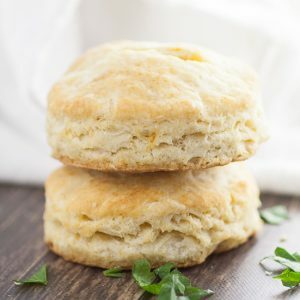 This old fashioned buttermilk biscuits recipe is one of my favorites (I have one more that I’ll switch between with this one. I’ll hopefully get around to sharing that one here soon.) 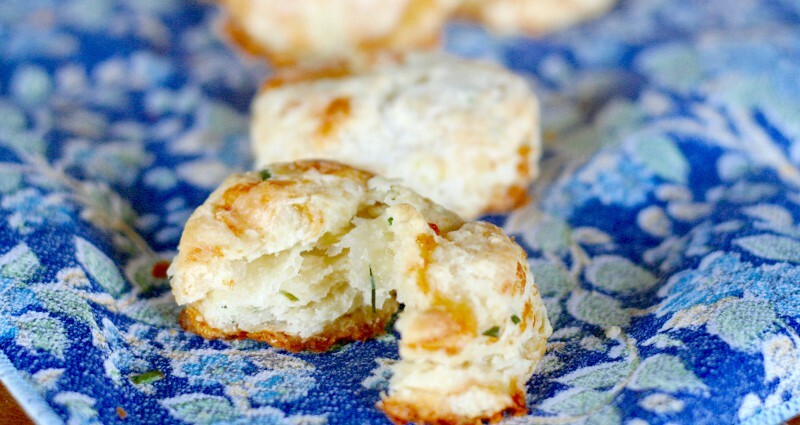 The thing that sets these biscuits apart from the pack is buttermilk, which gives them a little extra moisture and an extra pretty color. If you don’t have any buttermilk, you can easily switch it out with this buttermilk substitute, which I use frequently and I can guarantee works perfectly! 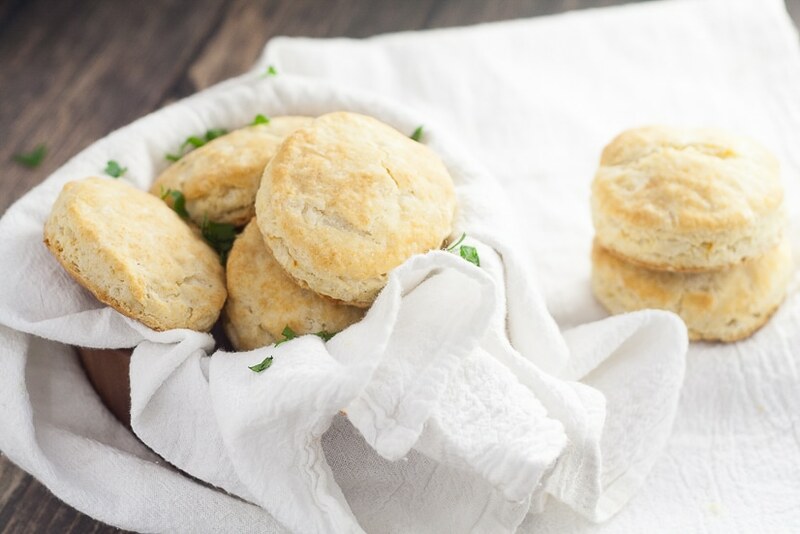 The recipe below will tell you how to make buttermilk biscuits from scratch that are sure to be a hit! You’ll never turn back once you make them! 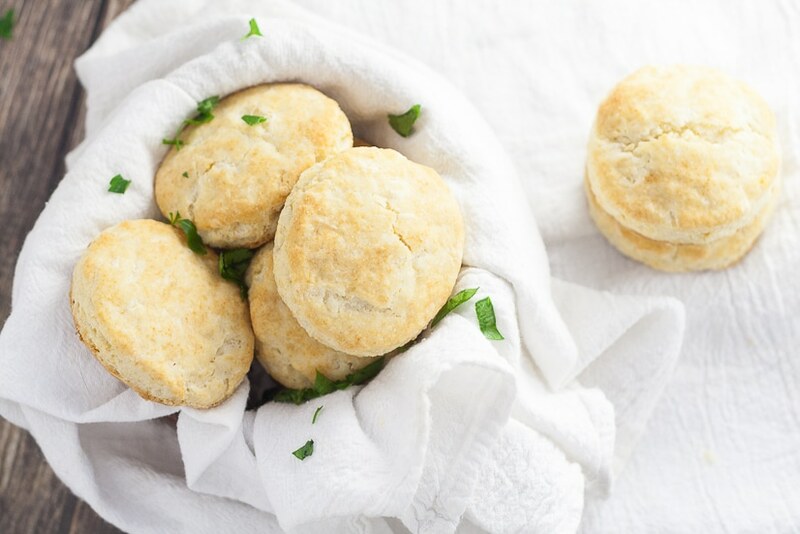 Fluffy, flaky Old Fashioned Buttermilk Biscuits recipe is easy to make and is a golden, delicious crowd pleaser! They're so simple and will never disappoint! In a medium mixing bowl, whisk together flour, baking powder, salt, and baking soda. Add butter and cut in with a pastry blender until pea-size clumps form. Create a well in the center of the mixture by pushing the mixture toward the sides of the bowl. Turn the dough out onto a floured surface and roll out to 1-inch thick into the approximate shape of a rectangle. Fold the dough into thirds (like folding a letter). Then roll back out to 1-inch thick. Repeat the folding and rolling process twice more, Rolling the dough out to 1/2" thick on the final time. Cut out about 12 biscuits with a 2 1/2"-3" cutter (You can also use a cup or glass). Transfer biscuits to a lightly greased baking sheet. Bake at 425° for about 12-15 minutes until cooked through and golden. 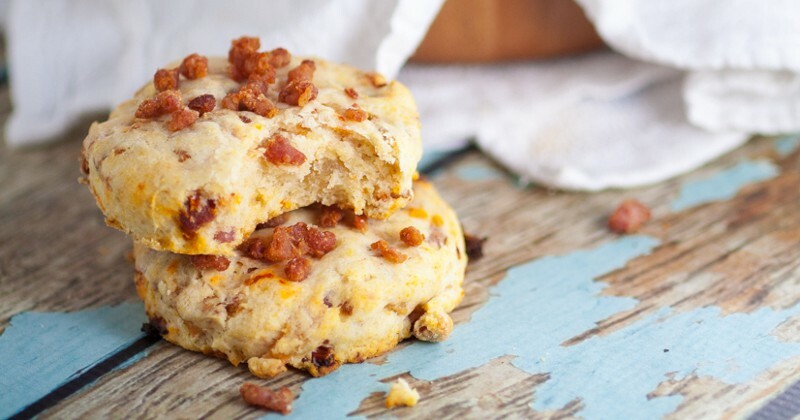 Did you like this Old Fashioned Buttermilk Biscuits Recipe? Find more on my Salads & Side Dishes board on Pinterest! 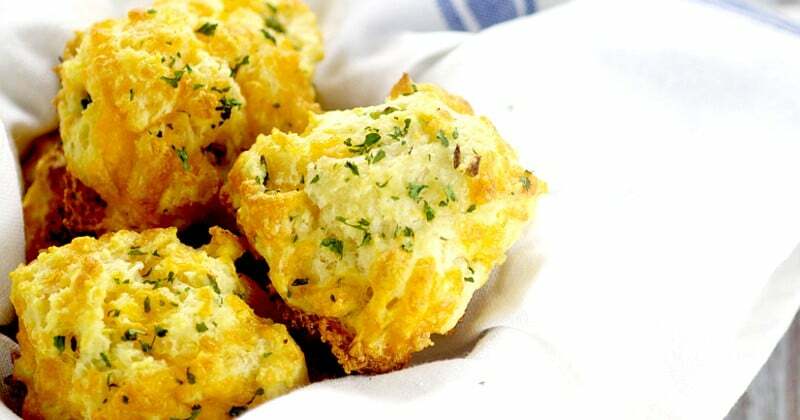 Oh the memories your biscuits bring. My grandmother made light, fluffly biscuits. I do love real homemade biscuits.